Historically, spices were often used to create paints because many of them have very distinct colors. 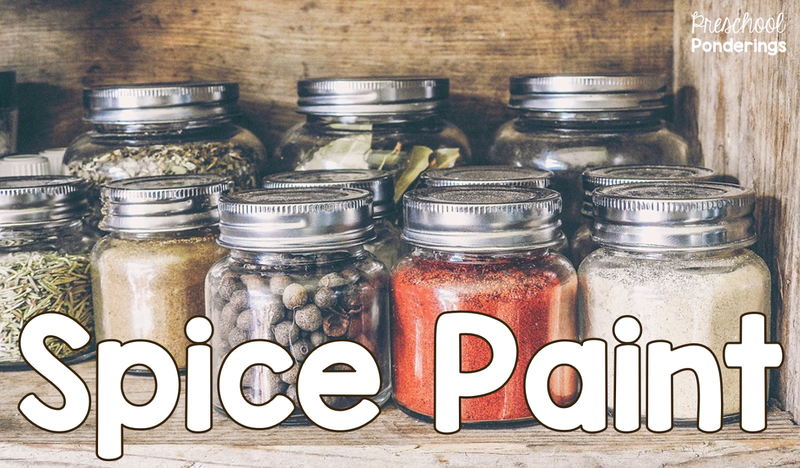 Making your own spice paints is a great way to explore spices and their scents at the same time! All that you have to do is mix a good amount of a single spice with a small amount of water until the paint is the consistency that you want. You can also add a little cornstarch to make your paints go a little farther. Prepare for a room full of strong scents, and enjoy the conversations that come from the experience!